Lead researcher Dr Phil Livermore, from the University of Leeds, said: "The European Space Agency's Swarm satellites are providing our sharpest x-ray image yet of the core. 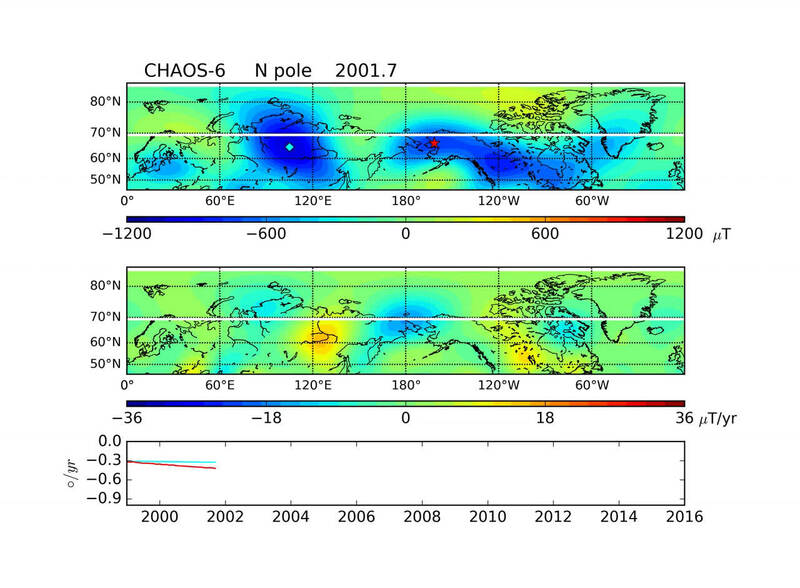 We've not only seen this jet stream clearly for the first time, but we understand why it's there." "We can explain it as an accelerating band of molten iron circling the North Pole, like the jet stream in the atmosphere," said Dr Livermore, from the School of Earth and Environment at Leeds. 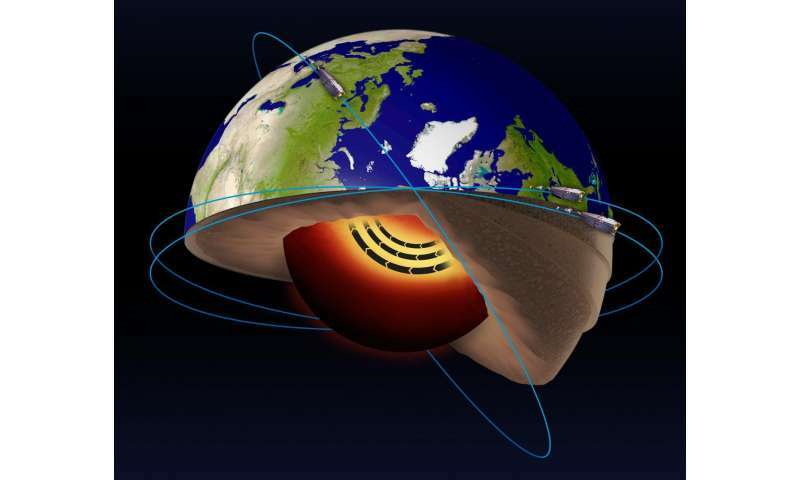 Because of the core's remote location under 3,000 kilometres of rock, for many years scientists have studied the Earth's core by measuring the planet's magnetic field - one of the few options available. But new data from the Swarm satellites has revealed these changes are actually caused by a jet stream moving at more than 40 kilometres per year. This is three times faster than typical outer core speeds and hundreds of thousands of times faster than the speed at which the Earth's tectonic plates move. The European Space Agency's Swarm mission features a trio of satellites which simultaneously measure and untangle the different magnetic signals which stem from Earth's core, mantle, crust, oceans, ionosphere and magnetosphere. 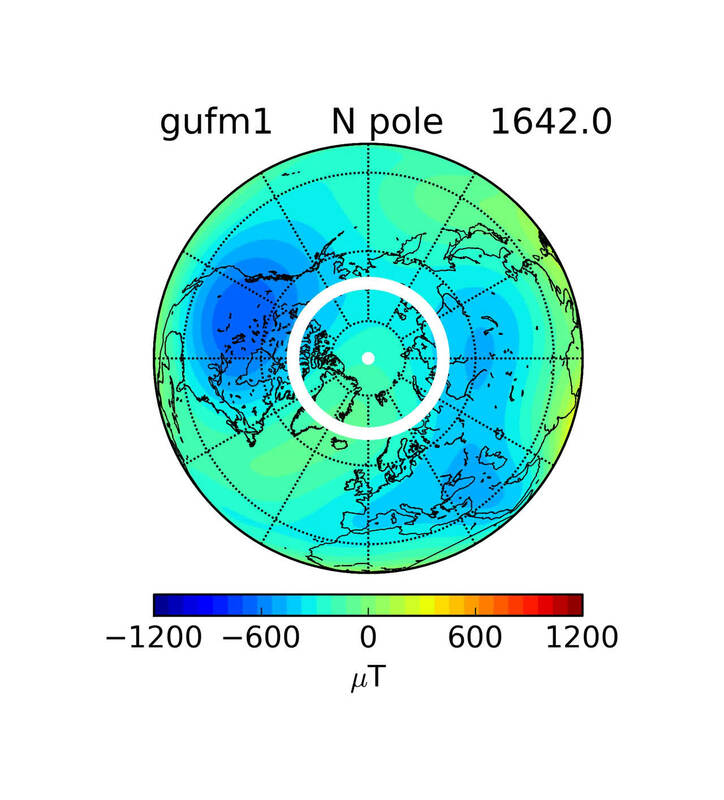 They have provided the clearest information yet about the magnetic field created in the core. Co-author Professor Rainer Hollerbach, from the School of Mathematics at Leeds, said: "Of course, you need a force to move the liquid towards the boundary. This could be provided by buoyancy, or perhaps more likely from changes in the magnetic field within the core." Rune Floberghagen, ESA's Swarm mission manager, said: "Further surprises are likely. The magnetic field is forever changing, and this could even make the jet stream switch direction. "This feature is one of the first deep-Earth discoveries made possible by Swarm. With the unprecedented resolution now possible, it's a very exciting time - we simply don't know what we'll discover next about our planet." Co-author Dr Chris Finlay, from the Technical University of Denmark said: "We know more about the Sun than the Earth's core. The discovery of this jet is an exciting step in learning more about our planet's inner workings." The location and alignment of the electric current (jet stream) is likely a result of the Birkeland currents which are directly connected to the Sun. In most branches of science this finding would be compared to experimental data, unfortunately these sciences have been invaded by the theoreticians who can pontificate fancifully about "buoyancy" as being a driving factor here. A course in EM Theory, Circuit Theory, and EE would do them well. I thought about this when i was wondering about how the moon could continuously face the same face to the earth, and the only plausible way was for the earth to have a 'superconductive' core, just a thin layer, fast spinning and with the other electodynamics this superconductive magnetic positioning of the moon in its beam..The layer would also feed the labryinth of lava rivers that must course through the mantle, that causes the 'regularities' in such things as 'mountain' building. Especially under the growing earth model. So that makes the earths core a supercapacitor storage capacitor, so energy up and energy down control the rate of spin relative to the connecting sun-earth birkeland currents. A 'pinch' current occurring about once every 8 minutes..and our electrostatic radii to others.